To Register for Tryouts, please click on link above that says "Register for class/camp." Fill out all the information and then enroll in the camp titled "Wood River Tryout Workshop 2019". This must be done before tryout workshops. All Levels and abilities please tryout. 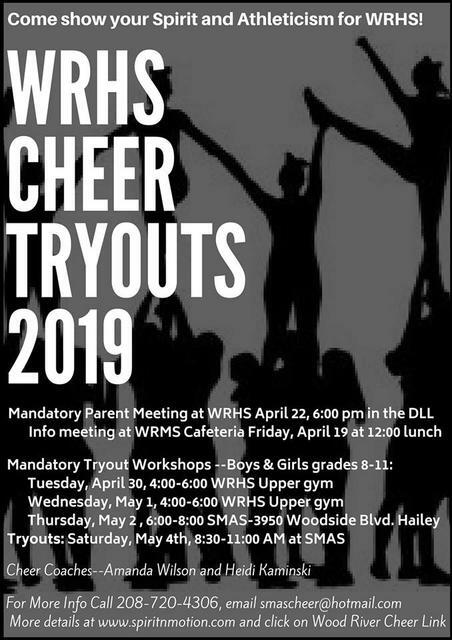 If you missed the parent meeting no problem, Download the tryout packet on this page and come to the workshops.